SSC is the leading Govt. organization that provides employment to lakhs of students in India. 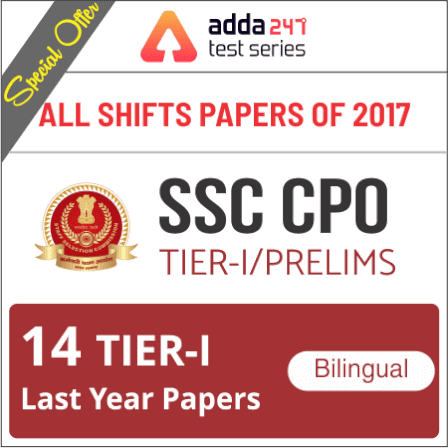 A great opportunity lies ahead for all the SSC aspirants in such reputed organisation. 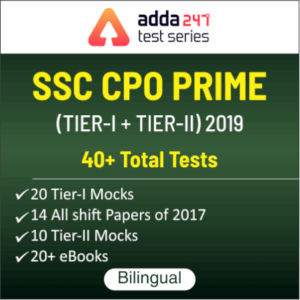 The admit Cards for CPO 2018 exam has been released and candidates can download the same region wise. SSC(Staff Selection Commission) has released SSC CPO 2018 notification for the recruitment of SI(Sub Inspector) in Delhi Police, SI(Sub Inspector) in CAPFs(Central Armed Police Forces) and ASI(Assistant Sub Inspector) in CISF(Central Industrial Security Force). The date of holding the examination as mentioned above is liable to be changed at the discretion of the Commission. The questions in this paper will be of Objective Multiple Choice Type. Questions will be set in Hindi and English in Parts A, B and C of Paper I. Deduction of 0.25 marks will be made for each incorrect answer marked. Only those candidates, who have scored above the cut off marks fixed by the Commission in Paper I would be required to appear in the Physical Endurance Test/Medical examination. Long Jump: 2.7 metres (9 feet) in 3 chances. High Jump : 0.9 metres (3 feet) in 3 chances. Only those candidates, qualified in PET/PST and found medically fit will be allowed to appear in Paper-II. 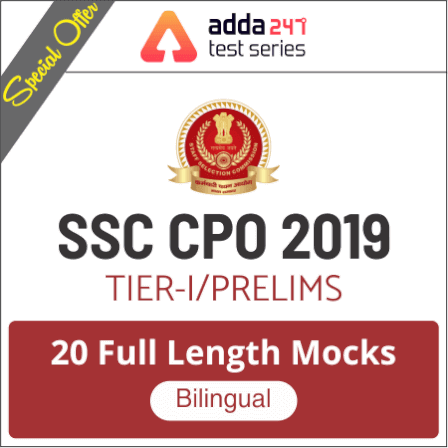 All the candidates who qualify in the PET will be medically examined by the Medical Officer of the CAPFs or any other Medical Officer or Assistant Surgeon belonging to Grade I of any Central/ State Govt. Hospital or Dispensary. Candidates who are found to be unfit, will be informed of the position and they can make an appeal before Review Medical Board within the prescribed time limit of 15 days. Decision of Re-Medical Board/Review Medical Board will be final and no appeal/ representation against the decision of the ReMedical Board/Review Medical Board will be entertained. The merit list will be drawn on the basis of marks obtained by the candidates in the Written Examination and Physical Efficiency Test. The crucial date of age-limit will be calculated with reference to 01-08-2018. A candidate must hold a Bachelor’s Degree From a Recognised University Or Equivalent. The minimum distant vision should be 6/6 and 6/9 of two eyes without correction i.e. without wearing of glasses. The candidate must not have knock knee, flat foot, varicose vein or squint in eyes and they should possess high colour vision. Fee can be paid through SBI Challan/ SBI Net banking or through credit/ debit cards of any bank. Candidates who wish to make the payment through challan of SBI, may make the payment to designated branches of SBI within the working hours of bank upto 16th April 2018.